As the primary lyricist of the legendary singer-songwriter duo Ashford and Simpson, the legacy of Nick Ashford, who recently died at age 70 of throat cancer, has long been cemented. 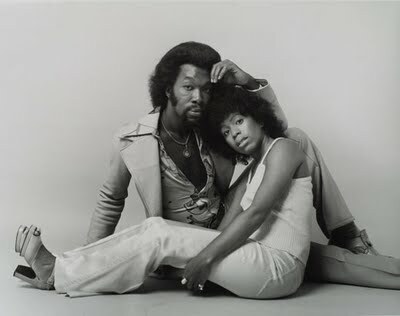 Whether it’s the endless times that Ashford and Simpson compositions and recordings can be heard throughout the day on the radio or the Pullman Bonds that literally established their catalogue as intellectual property, Nick Ashford will be remembered as one of the 20th Century’s greatest song-writers. Mainstream media should be taken to task, as Soul-Patrol founder Bob Davis recently suggested, for marginalizing Ashford’s legacy by referring to him as a Motown songwriter, lumping him in with the label’s stable of writing and production teams and neglecting the nearly 40 year career Ashford and Simpson had after leaving Motown’s fold in 1973. The list of artists who recorded or sampled Ashford and Simpson’s music is impressive; Ray Charles, who had a comeback of sorts in 1966 with the decidedly secular, yet sanctified, “Let’s Go Get Stoned”; the recording duo of Tammi Terrell and Marvin Gaye, who served as muses for the young Ashford and Simpson; Diana Ross, whose finest sides as a solo artist where arguably written by Ashford and Simpson; Disco legend Sylvester, who recorded the duo’s “Over and Over” on his solo debut in 1977; Chaka Khan, whose signature tune “I’m Every Women” is an Ashford and Simpson classic; Teddy Pendergrass who recorded “Is It Still Good To Ya”; Cheryl Lynn, who matches the duo’s own performance of “Believe in Me”; Aretha Franklin who covered several of their tracks; The Dynamic Superiors, whose out gay lead singer Tony Washington, was clearly influenced by Ashford’s own soaring falsetto (a lost art in today’s musical environment); the late Amy Winehouse; and even Mary J. Blige and Method Man, who maintain the integrity of the original on their 1996 classic “I’ll be There for You/You’re All I Need,” recorded, notably, two years before those Ashford and Simpson Pullman Bonds were established. Yet Nick Ashford’s influence was not limited to his musical talents. As the duo began to reach their peak as recording artists in the mid-1970s—Valerie Simpson recorded two solo albums before the couple departed Motown in 1973—Ashford also pushed boundaries with regards to notions of Black masculinity. Ashford emerged as a star in an era premised, on what I refer to as the Cult of Black Manhood—post-nationalist strains of Black masculinity, defined in part by a hyper-masculinity and hyper-sexuality, best represented in the popularity of figures like the fictional John Shaft (Richard Roundtree), Isaac Hayes, Barry White, Billy Dee Williams, Teddy Pendergrass and the mythical father-figure James Evans, Sr. (John Amos). With his long, straightened mane, falsetto singing voice (balanced by Simpson’s vocal heft), measured mannerisms, and clear comfort in his body, Nick Ashford, became the model for a cosmopolitan, metro-sexual Black masculinity at a time when Sean Combs, Andre Benjamin, and Kanye West were still children—and when the current generation of New York Times sanctioned, post-hip-hop Dandies were yet to be born. While Ashford had many falsetto peers during the era, like Earth Wind & Fire’s Phillip Bailey, Blue Magic lead-singer Ted Mills, Stylistics’ lead singer Russell Thompkins, Jr. and the oft-forgotten Ronnie Dyson, few functioned with the sartorial sass that Ashford did, save the aforementioned Sylvester. Years later, Eddie Murphy’s character in Vampire in Brooklyn was a l nod to Ashford’s singular style. Indeed some of Ashford’s signature stylistic touches could be found at the couple’s Upper West Side New York City restaurant The Sugar Bar. Ashford’s radical performance of Black masculinity in the 1970s and 1980s, was largely muted because he was romantically linked to Simpson as the couple served as a model for the possibilities of a Black love, that wasn’t tethered to rigid notions of gender; Ashford and Simpson’s influence in that regard can be witnessed in the gender performances of contemporary figures like Jada Pinkett-Smith and Will Smith, Beyonce Knowles and Shawn Carter and Ashford and Simpson’s musical progeny Aja Graydon and Fatin Dantzler (Kindred the Family Soul). Nick Ashford will be remembered as a professional partner, husband, father, gifted song-writer and vocalist—and a Black man, who relished the comfort in his own skin.